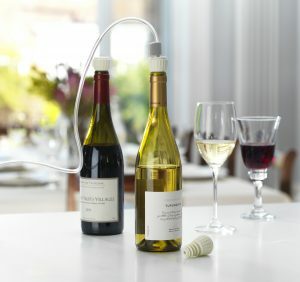 FoodSaver® bottle stoppers can be used with any FoodSaver® Vacuum Sealing System with the accessory hose to vacuum seal wine, oils or infusions to keep them fresher for longer. Food and drink is only as good as it is fresh and by taking air out and sealing flavour in with the FoodSaver® System, you can confidently nourish the ones you love. FoodSaver® vacuum sealing systems preserve the freshness and nourishing qualities of your food and drink, reduce waste and help you lower your weekly food budget. By using the tightest possible seals to prevent air and moisture from getting to your food and drink, the FoodSaver system locks in nutrients, taste and freshness up to five times longer than traditional storage methods. 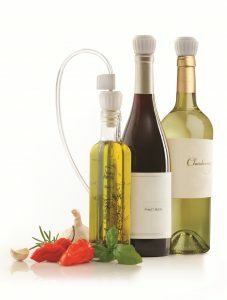 Food and drink is meant to be prepared, shared, savoured and shared again, and the FoodSaver® System ensures it will remain as tasty and flavoursome as the day you sealed it. Vacuum sealing captures all the nutritional attributes of food and drink, ensuring that when you are ready to eat there is no sacrifice in quality or flavour. 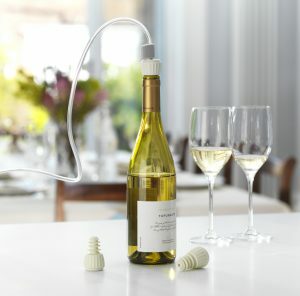 FoodSaver® bottle stoppers can be used with any FoodSaver® Vacuum Sealing System with the accessory hose to vacuum seal wine, oils or infusions to keep them fresher for longer. 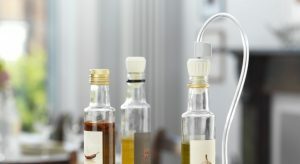 Designed to fit all standard screw cap type bottles, these bottle stoppers are BPA free and perfect for all non-carbonated drinks, oils, dressings, infusions and more. FoodSaver® is the original consumer vacuum sealing system. As the worldwide leader and innovator in vacuum sealing, FoodSaver® has sold in excess of 20 million units to date. The FoodSaver® brand continues to innovate in its mission to keep your food fresher for longer.